Venn Street Market | Allen Edwards and the wiggly worms! Allen Edwards and the wiggly worms! We are now up to our ears with salad leaves, potatoes, onions and a few tomato plants. Lots of herbs and peas are coming along too. The children work in two’s or threes and are keen gardeners and appreciate the small insects that we look at – wiggly worms and slimey snails mostly! 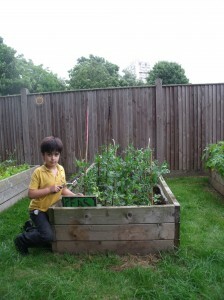 They are most enthusiastic about watering the garden and are very gentle towards the plants. Hurray for the Allen Edwards young gardeners!